This wine is made from grapes grown in limestone-clay soils at an altitude of 150 - 350 m.a.s.l. in the area of ​​Solopaca located on the slopes of the Regional Park of Taburno-Camposauro. An espalier farming system is employed giving a yield of 90 qq/ha from vines with an average age of between 5 and 15 years. The harvest takes place in the second half of September. The grapes are harvested by hand and conferred to the winery; there follows the de-stemming and soft pressing of the grapes. The wine is made using the technique of cryo-maceration with fermentation taking place in stainless steel tanks for about 15 days at a controlled temperature. The product is bottled during the month of March. The color is straw yellow; it has a rich aroma with hints of tropical fruit and characteristic floral perfumes. The taste is fresh, dry and well-balanced. 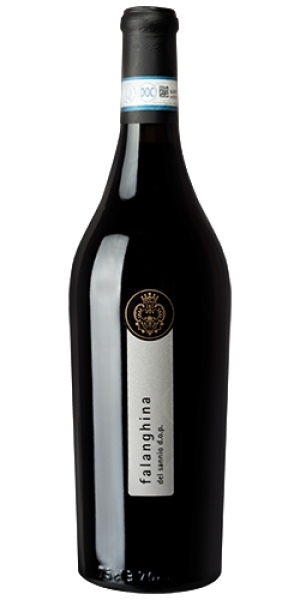 Excellent pairing with appetizers and fish dishes, pasta and white meats, grilled fish and vegetables, cheese, etc..